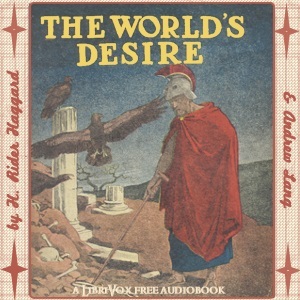 H. Rider Haggard (author of King Solomon's Mines the Allan Quatermain Series, and many more) and Andrew Lang (author of, among others, the rainbow coloured fairytale books) collaborate to lend their talent to one of the most fascinating and well known stories of all times. Odysseus returns home from the war, but does not find the peace and quiet which he craves. His home is ravaged, and his wife Penelope is dead. He comunicates with an old flame, the beautiful Helen of Troy, who sends him to his ultimate and defining last journey. Read about his adventures, and what might have been, in this beautiful novel by two of Britian's best Vctorian novelists. - Summary by Stav Nisser and Wikipedia.